Thirteen years ago I saw something that has since become a dream. On the streets of Liverpool, England, a small group of men and women climbed out of a remodeled cargo van and lifted the side panels. Like a theater curtain going up, the panels revealed a gleaming stainless steel kitchen. Soon the stove burners were heating up large pots of porridge, potato soup and a lintel stew. Even before the panels went up the people on the streets could smell the crushed beans being brewed in a trio of large coffee makers. Paper plates and cups and plastic spoons and forks were neatly arranged on the slide-out shelves. And then … the music began pumping and pulsating and exciting the atmosphere, announcing to the hungry in the alleys that it was dinner time! Young and old, male and female … they poured into the street. The anonymous hungry recognized the familiar crew serving them – committed, loving people who came night-after-night, to demonstrate with food that these poor souls had not been forgotten. On this particular cold night many of the homeless gravitated toward the warmth of the van, leaning up against the engine cowling or edging as close as they dared to the propane stove burners. Bread, soup, music, laughter, tears, prayer, hugs – all there that night, and in abundance. And I was forever changed. God dropped a thought into my heart. “What if you did this in your city? Would it make a difference? Of course, it would! So … DO IT.” From time to time I would venture to put the project together, and time-and-time again I would hear, “It’s not time. But soon.” I would dream about the van that would eventually become a fleet of three vans … all customized to exceed health department and government standards. Here’s what we need … and when I say “we” I’m not talking about one local church or some entity created around me and my name. No. This “we” is open to anyone who (1) loves Jesus Christ and is committed to Him, (2) understands and is committed to feeding the poor in the name of Jesus (“… if you do it to them, you’ve done it to Me …”), and (3) longs to see Richmond transformed by the love of God. WE need a van. It would be GREAT if it was like the one pictured here. 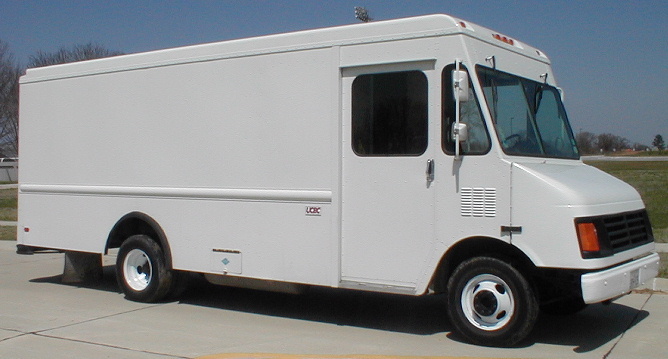 This particular van is a 1997 GMC P30-16. But getting the van is just the beginning. We’ll need someone to customize it. It’s gotta be cleaner and sharper than an ice-cream truck – you know what I mean. Gas tanks, stoves, refrigeration, utensils, pots and pans … we’ll need all that! We need to research local government restrictions and requirements, licensing, titling, insurance, etc. And to do all this, we’ll need the help of generous people who buy into the vision. We need money. $1 to $50,000 … and every gift amount in between. I’m estimating that the initial costs could, depending on the quality of the final product, be between $50-60,000. That’s just to get the meals to the people. And then we’ll need drivers with the right licenses, cooks, bottle-washers, clean-up crews/pot-scrubbers … and the kindest, sweetest servants (servers) in the city. Leave your religion and your judgmental attitudes at home! There are many, many ministries and agencies doing this same kind of thing. This “meals-on-wheels” idea is not like Newton having the apple land on his head and him thinking, “That must be gravity!” Like I said before, I SAW THIS in Liverpool, 13 years ago! The question in my mind is, “Is every hungry child … is every homeless person … is every single mom getting the nutrition they need?” I know that HOMEWARD (http://www.homewardva.org/) is doing phenomenal things in our city. So is CARITAS. Embrace-Richmond is out there, too, doing their part. There are scores of organizations doing their best to do what I’m suggesting. But … is anyone falling through the cracks? What about the prostitutes? What about the poor in the Hispanic community of Richmond? And what about the moms and dads who send their kids off to school (the schools are feeding the kids during the school year), but have a rumble in their bellies? What about the addicts who are starving themselves in order to buy the next hit? I don’t know! I just don’t know everything that’s being done. But that doesn’t dissuade me from following this particular dream. Oh, and one more thought. We’ll need food, too … and lots of it. Wise man or wise guy!? Hey, I’m scared. I think I remember you saying something like that not too long ago!! Sounds like it is time to obey His voice. If Michael and I lived in your area, we would sooooo be a part of the endeavor. As a matter of fact, we have a side business as a food truck vendor for disaster relief. :) Keep us posted Lowell. Don’t let anything or anyone stop you. This is an excellent idea! I know from exhaustive research, that there are NO laws extant concerning the distribution of food to the Poor. Not federal, not state, not local. You don’t even have to wear gloves! If you were selling, it would be totally different, but the Monroe Park Advisory Council tried to get City Council to enact restrictive laws to force the Poor out of the Park, but were unsuccessful. City Council has enough sense not to mess around with God! I can send you documentation on this. 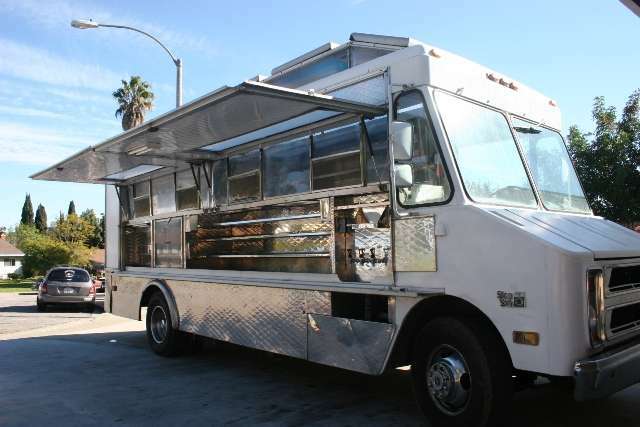 A mobile soup kitchen would combine the mobility of the “bubble truck” that handed out cold lunches and hygiene items with Food Not Bombs approach, using washable trays and totes to serve food. I think that you will find this project a little easier and less expensive than you think. Get in touch with me on Fb for more info…I can even do truck repair and installation. 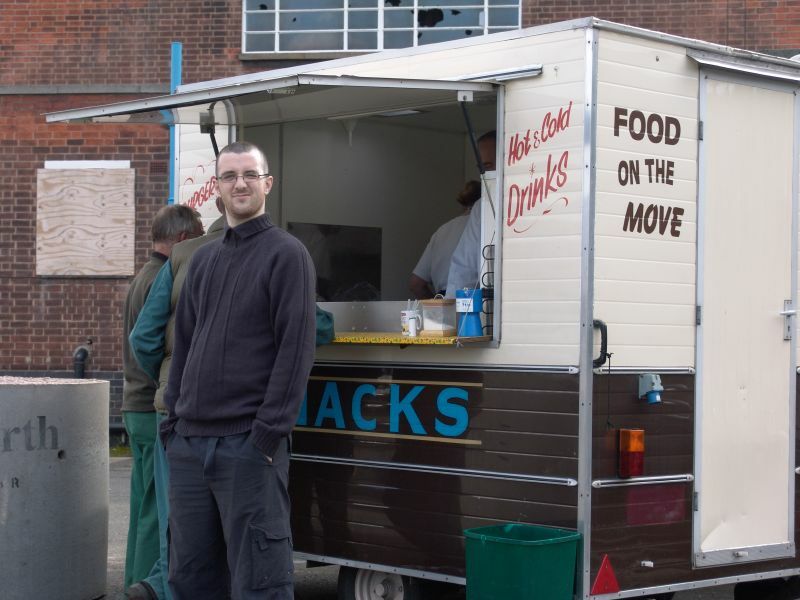 A Poor People’s “gut truck” (like at a construction site) is the best idea I’ve yet seen for food distribution. May God grant you all speed and protection in this endeavor! Thanks for the encouragement!! Please pass this blog/idea on to anyone you think can help us see this dream become a reality. I’m working on putting a Paypal donation option on this site. Blessings!!! Hey Joseph, I think I understand where you’re coming from, but I’m not perfectly sure. Let me explain where I’M coming from. That I can do with confidence. I acknowledge that there are tons of people – Christian and not – who have tremendous concern and compassion for the hungry and the homeless. Unless someone tells me, I don’t know what their reasons or motives may be for doing what they do, but I believe I know what the underlying Christian motive SHOULD be when it comes to doing acts of compassion (like feeding the hungry, clothing the naked, and providing shelter for those who have none). I’m trying to go only on what Jesus said. “If you do it to the least of these, my brothers, you’ve done it to Me.” My spin on that: Believers should be motivated by their love for Jesus. Not obedience to some creed, not religion, not guilt, and not the accolades of others. Only love for Jesus. “You’ve done it to ME.” That speaks of relationship with Him, not religion. (Religion, in my opinion, can be empty and rote and repetitive … but relationship, real relationship, can’t be any of those things.) I believe Jesus didn’t come to start a religion. I believe, based on His own words, He came to “show us the Father,” and engage us as our Savior and friend. My husband and I want to be a part of this! Please keep me informed.